We want your trip to be a good balance between physical activity, cultural, gastronomy experience and regeneration. 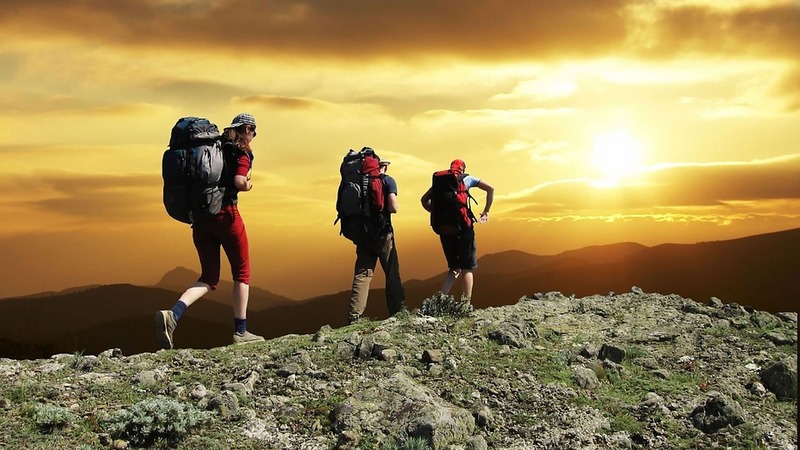 „High Tatras Tour“ is suitable for all who appreciate nature, combining the enjoyment of being active and out in the countryside with cultural & gastronomy experiences. 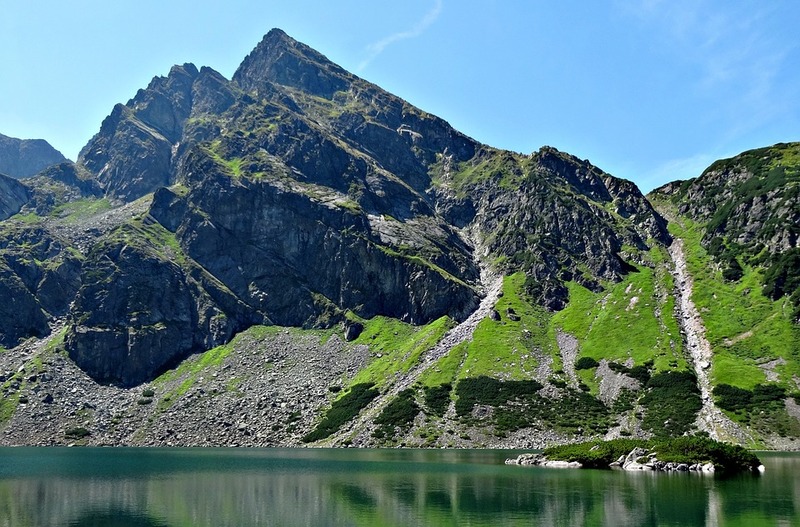 Tatras are full of breathtaking mountain lakes. 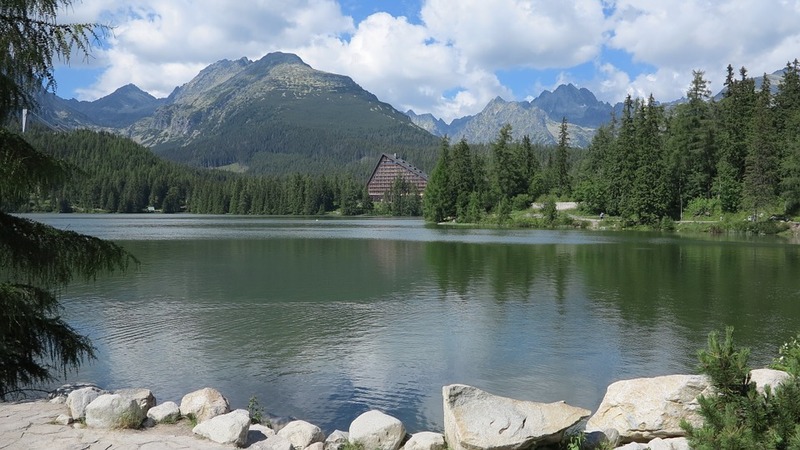 Every mountain lake in the High Tatras is called “pleso”. 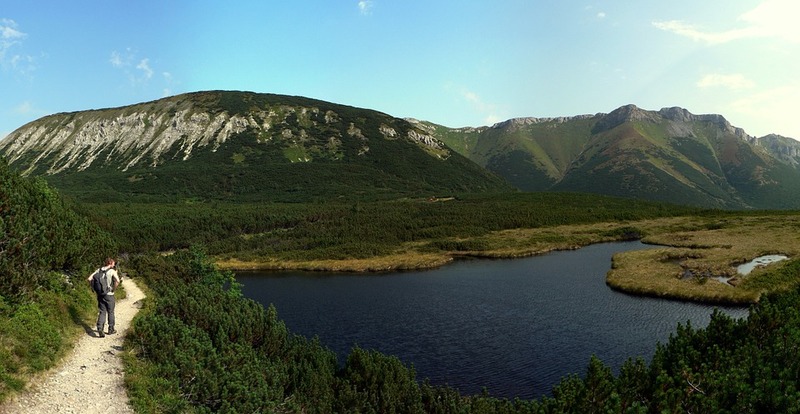 Pleso is a tarn created either by the melted glacier or by the rain water. The Štrbské pleso is one of the most famous tarns in the Hight Tatras, which is available to the general public. It lies at an altitude of 1,346.6 meters. Lakes of love has origin name Štrbské rybníky. Founder of Štrbské pleso – Jozef Szentiványi have used them for trout fishing. Lakes in these days are very popular for walks and for young couples. You can find places to sit and relax there. Popradské pleso tarn lies in the Mengusovská dolina valley at an altitude of 1,500 m. A mountain lake of glacial origin is situated right on the path of Tatranská magistrála, at an altitude of 1,494 m.
Velke Hincovo pleso is the biggest and deepest glacial mountain lake in the High Tatras. The maximum depth is 53 metres (174 ft). Its surface remains frozen for around 270 days of the year. What makes this lake so unique is that the water is so crystal clear that you can see almost 12 meters deep. Lomnický štít is the second highest peak of the High Tatras. Its summit resembles a three-sided pyramid and reaches the altitude of 2,633.8 metres. It became popular thanks to a suspension cable car that operates there from Skalnaté Pleso. The red-coloured cable car surmounts a vertical drop of 855 metres and the journey takes 8.5 minutes. From the moment it had been built until 1956, the 5,428-metre-long cable car was the longest personal transport facility of this kind. The view from the summit of Mt. Lomnický štít is an unforgettable life-time experience for many people. This small botanical garden is even the highest located botanical garden in Europe! Besides beautiful views, Mt. Lomnický štít offers also a variety of plants on the summit, where there have been more than 100 species of lichens, 40 species of bryophytes and 1 pteridophyte registered so far. 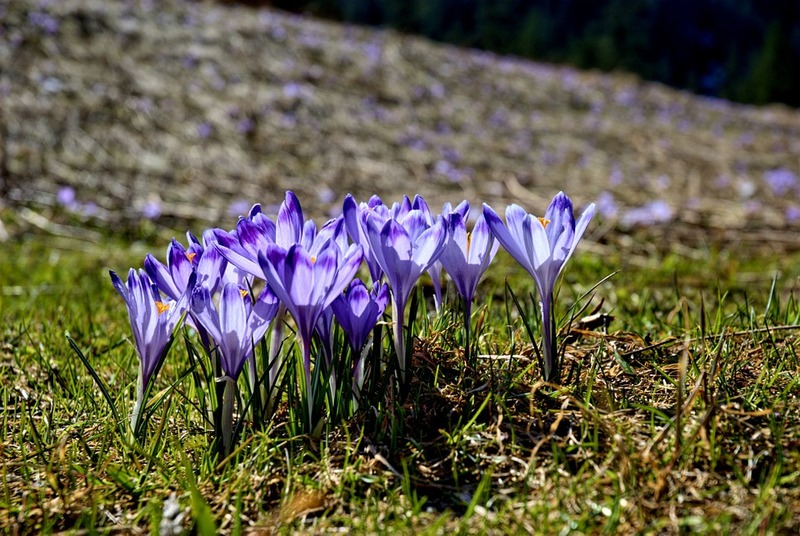 As for blooming plants, there are 34 species, which means almost all plants that occur on ten peaks and rock towers in the Tatras that reach above the altitude of 2,600 metres. The Belianska Cave belongs among the most visited show caves in Slovakia. Except for bizarre rocky shapes, it is known by rich occurrence of calcite fills. Though the interest in natural attractions of the cave have been persisting for 125 years, the rules of its forming are not entirely clear by now. The show path is 1,370 m long with elevation range of 125 m, there are 860 steps on the path. The stay in cave lasts about 70 min. The temperature is around 5 °C. We can admire flowstone waterfalls, pagoda stalagmite, pools and many other forms of cave decoration. The botanical garden – exposition of Tatra nature is situated in Tatranská Lomnica. It spreads out on the area of 3.2 ha. You can see 270 types of Tatra plants living in various biotopes and can buy some of them in a form of seedlings or seeds. In the exposition, there is also a small geological area and memorial place dedicated to those who stood behind the idea of establishing the Tatra National Park. The oldest reference of the springs dates back to 1764. It was the huge interest in this mineral spring, which led to the establishment of Starý Smokovec. Kyselka has a sour taste, as the Slovak name indicates. 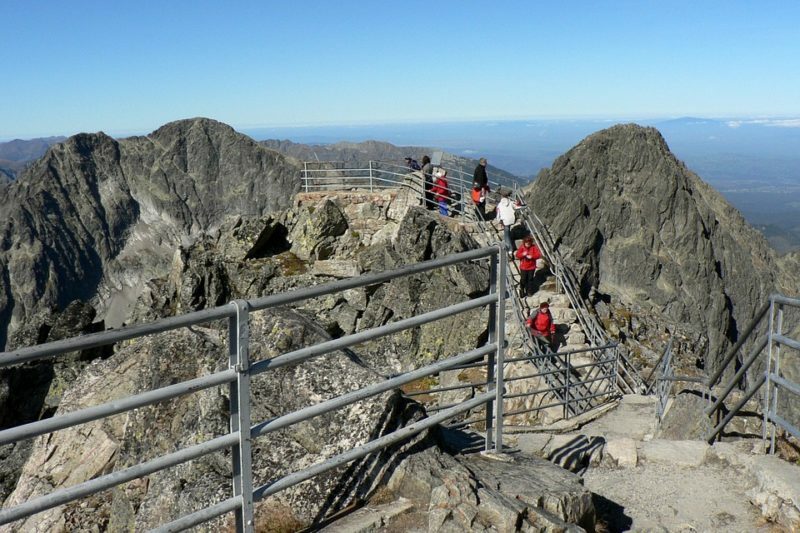 Hrebienok (1,285 m) is a very popular tourist destination in the High Tatras. From the settlement of Starý Smokovec we can easily get to Hrebienok – a starting point for our trekking. We take a funicular from Starý Smokovec to the altitude of 1,272 m and enjoy the same feeling as Her Majesty, Queen Elizabeth II. could when she visited the High Tatras. It takes 7 minutes only to surmount a vertical drop of 255 m.
We´ll meet with the patron of Hrebienok, 2.4-metre long Kubo the bear of iron. He weighs 350 kg, his teeth are made of iron spikes and eyes of semi-precious stones. We´ll visit a new relax zone in the area of Hrebienok. Five sculptors needed three days to carve out and place 5 other bears of wood in the relax zone on Dolná lúka (Lower Meadow). We can have a look at them and even relax on comfortable deckchairs next to them if they need a break during their hiking trips. The Museum Ždiar House was established in 1971 by the municipality Ždiar under the initiative of local people. You can familiarize yourself with the way of life of Gorals living under the foot of the Belianske Tatras. It represents the original architecture, interior, folk costumes. The museum offers the possibility to dress the local costume, to have a photo taken and to take part in the folk ceremony – “Ždiar wedding”. Between 2007 and 2008, experts from 190 countries awarded a global prize to AquaCity Poprad which became the first winner in the World Travel Awards international competition in the category “World‘s Leading Green Resort”. You can enjoy perfect relax in a total of 13 swimming pools with water temperature varying between 30°C and 38°C and many water attractions. In the pools, the temperature from 26° C to 38 °C is maintained. Substantial relaxation is contributed to by spouts with flushes of running water below which visitors relax their stiff muscles. The swimming pool is very often visited by sportsmen who need to rest and recover strength after hearty skiing or hiking. Comfort and pleasant relaxation will be certainly evoked by the impressive panoramic view of the Tatras peaks. Červený Kláštor is a unique cultural and historical relic set in the wonderful natural environment of Pieniny. In 1319 master Kakaš donated the community of Lechnica to the friars of Skala who built in the nearby valley of St Anton a Carthusian monastery. Because the buildings of the monastery were built of red bricks the people began to call it Červený Kláštor (Red Monastery). Červený Kláštor associates with the name of Friar Cyprián who was known for his thorough knowledge of medicinal plants. The herbarium he compiled is included in the exhibition. Unforgettable is a ride on wooden rafts through a Dunajec river canyon – largest in Central Europe, in the magnificent scenery of the Pieniny National Park. Raftsmen dressed in traditional Goral costumes talk during a raft ride about local history,rare fauna and flora, as well as legends and tales connected with surrounding rocks. Rafting starts at the quay bellow the village of Majere on the way to Červený Kláštor. Slovak rafts, steered by two experienced raftsmen, finish their ride at the Slovak-Polish state border in the village of Lesnica. The rafts are actually wooden structures consisting of five small boats tied together. The sail on the winding river is 11 km long, takes 90 minutes and carries ten passengers at a time. 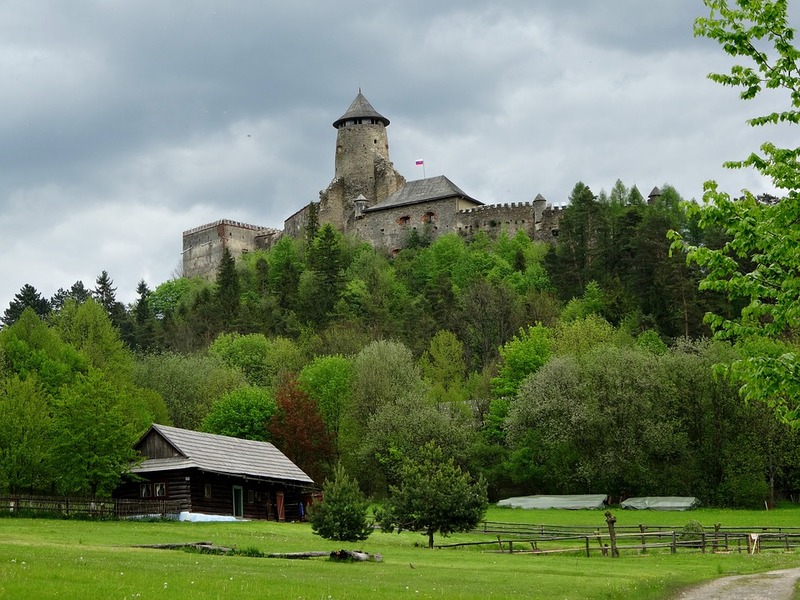 The Ľubovňa Castle was built at the turn of the 13th and 14th century on a limestone cliff of 711 m over Stará Ľubovňa. It became a part of the boundary castles system in the north of the Hungarian Kingdom. 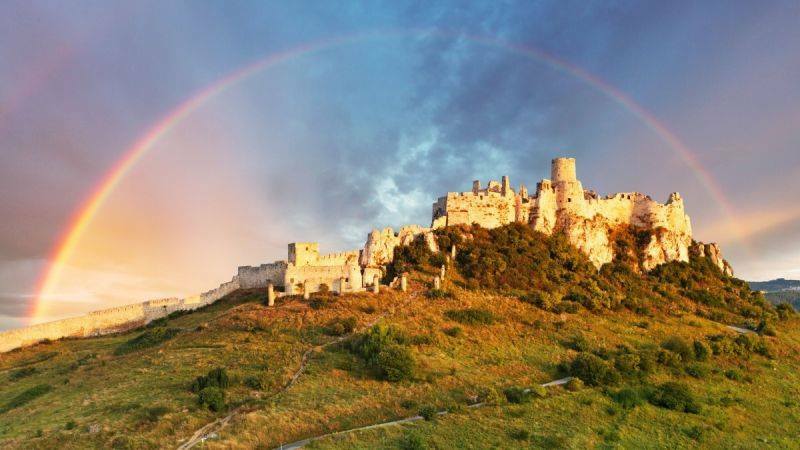 In 1412, the historical meeting of the Hungarian king Sigismund of Luxembourg with the Polish king Vladislav II took place in the Ľubovňa Castle and it is the place where Polish coronation jewels were hidden. The historic town Levoča is cultural and historic jewel among the Slovak towns as it possesses a great number of architectural monuments. Levoča is one of the most visited by tourist in Slovakia. The dominant part of the old Levoča is the large rectangular square, with the Roman-Catholic St. James church from the 14th century, which is one of the most important sacral buildings in Slovakia. Especially precious is the interior of the church, which is in fact a unique museum of medieval sacral art. The Late Gothic wooden main altar of St. James with the height of 18.6 m is the highest of its kind in the world. It was made of lime wood in 1507-1517 in the workshop of Master Pavol of Levoča. Levoča has been inscribed on the UNESCO World Heritage List since 2009. This medieval castle was built in 12th century and gradually grew in size to become a political, economic and cultural centre of the region. Unfortunately, the castle complex was destroyed by fire in 1780 and the ruins have never been restored to its original appearance. Covering about 41 thousand square meters it belongs to the biggest castles in Europe. Movies such as Dragonheart, The Lion in Winter or The Last Legion were shot right here. 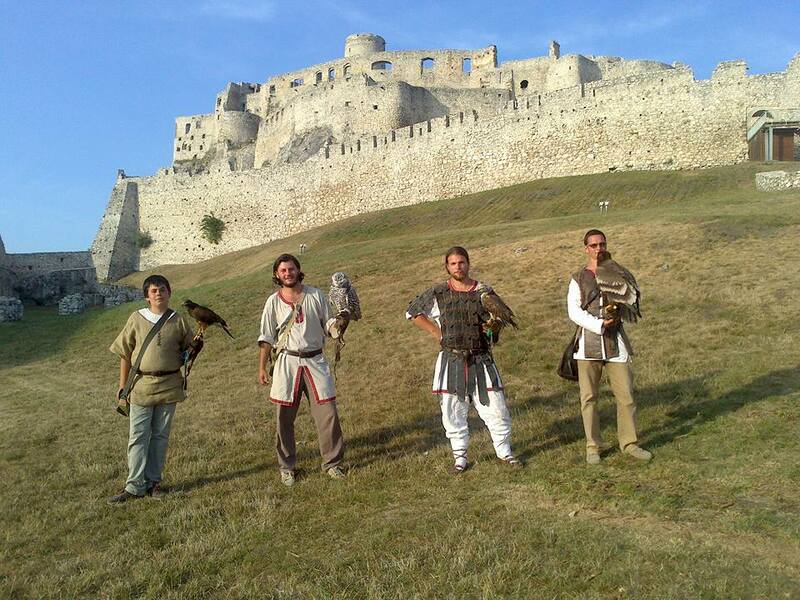 Due to its historical significance, Spiš Castle was inscribed in UNESCO List of World Heritage Sites. Arrival to Košice or Poprad, meeting with your tour guide, transfer to hotel, collective dinner and overnight stay in the hotel. Breakfast. Transfer by „mountain tram“ to Štrbské pleso. We´ll visit Štrbské pleso and Lakes of love. Then walking tour to Popradské and Velké Hincovo pleso. Packed lunch. Transfer back. Dinner. Overnight stay in the hotel. Breakfast. Transfer by „mountain tram“ to Tatranská Lomnica and then by cable car to Lomnický štít. Tour of natural botanical garden. Trekking from Lomnický štít to Lomnické sedlo (Lomnica saddle) and Velká Lomnická věž (Lomnica tower). Packed lunch. Return journey to Tatranská Lomnica. Tour of botanical garden (the exposition of Tatra nature). Transfer back. Dinner. Overnight stay in the hotel. Breakfast. Transfer by minibus to Tatranská kotlina. Tour of Belianska cave. Packed lunch. Then we´ll continue by minibus to Ždiar to visit Ždiarsky dom (Ždiar folklore museum). Transfer back. After dinner transfer by minibus to Poprad to Thermal Park. Overnight stay in the hotel. Breakfast. Transfer by minibus to monastery in Červený Kláštor (tour of monastery). Running the rapids of the Dunajec on wooden rafts. Lunch at the restaurant. Transfer to castle Stará Lubovna (tour of castle). Relaxation in thermal bath in Vrbov. Transfer to hotel. Dinner. Overnight stay in the hotel. Breakfast. Transfer by minibus to Levoča (sighseeing of city). Lunch at the restaurant. Transfer to castle Spišský hrad (tour of castle). Transfer back to Starý Smokovec and then we´ll visit (go on foot) mineral spring Kyselka. Dinner. Overnight stay in the hotel. Transfer by cable car from Starý Smokovec to Hrebienok. Meeting with bear Kubo. Trekking from Hrebienok to Zbojnická chata (Zbojnická hut). Packed lunch. Return journey to Starý Smokovec. Free time for shopping of Slovak specialties (cheeses, herbs liquer, honey). Farewell dinner. Overnight stay in the hotel. Breakfast, transfer to the airport in Poprad or Košice. Flight home. Pay € 650 deposit now, € 649 balance due before 31 December 2016. Pay full € 1,299 now. All transfers in Slovak Republic according to the program. 7x overnight accomodation in double room with shower/WC in hotel (single room supplement in hotels). All meals according to the program. Licensed tour guide to English speaking. Entrance fee (Belianska Cave, castle Stará Lubovna, castle Spišský hrad, monastery Červený Kláštor, ride on wooden rafts, museum Ždiar, 2x thermal bath). Additional costs because of program changes due to unexpected weather or conditions out of our control, or as demanded by group members. Flight to and from destinations. The best local airport is Poprad or Košice. Flight information can also change rapidly. Please do check for yourself directly with the airlines’ websites before finalising any booking with us and do not book your flights until we have confirmed that we have provisionally reserved accommodation for you.